Having recently finished all my work for this term, I've been browsing around for new companies and inspiration. Occa-home is one of the best ones so far, specialising in lots of vintage style pieces and interesting designs. The selection of products below gives an idea of the style of the company. This is the kind of quirky style that really interests me. 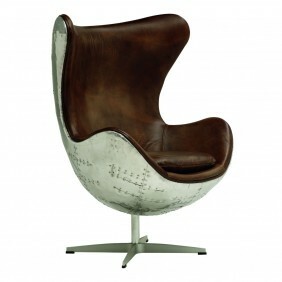 I love vintage sports equipments such as old leather footballs, and this leather baseball chair would be a great feature piece in a study or games room. 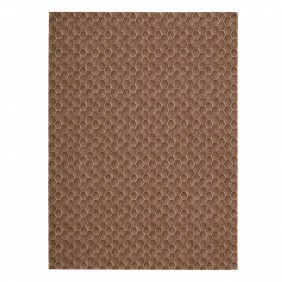 This is another of their more unusual designs, this honey comb rug. I'm not a huge fan of bees myself, but I think that this has huge potential in a design scheme. At first this clock confused me until I worked out what it resembled. Each of the numbers are represented by a clock hand. 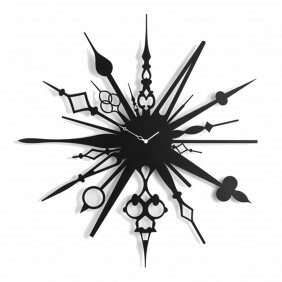 It draws on all the popular clock styles, and would look lovely outside against a brick wall. 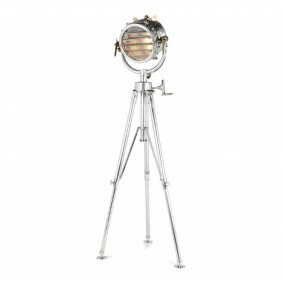 I've always had a bit of a thing for unusual floor lamps. 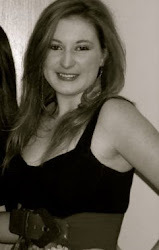 This one looks like it should be on the deck of a ship and is a real statement piece. This is one of those items of furniture that I can't decide whether I like. 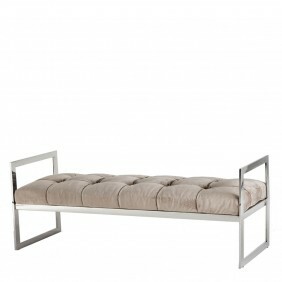 The colour and style of the fabric reminds me of a georgian style seat, but the modern metal frame contrasts with this style. This may be a little to eclectic for my taste. This I know I love. The casual beach style just gives the impression of a calming and tranquil atmosphere. 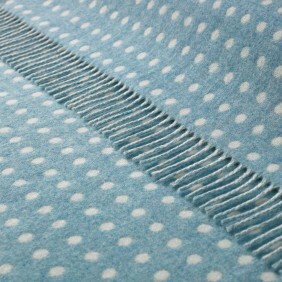 Possibly my favourite item in the collection as I am a huge fan of anything blue and spotty. 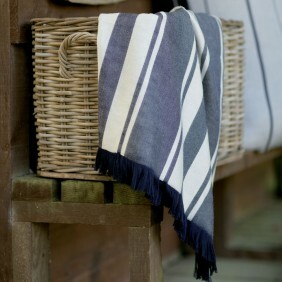 This is actually one of the more classic examples of this pattern on a throw, as some can be a bit garish. Another beautiful rug. 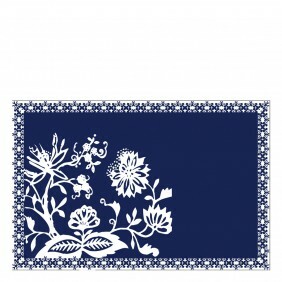 There is something so fresh about a blue and white pattern, I can't help but like this colour combination. 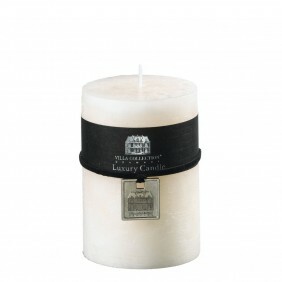 This is a perfect example of the many beautifully crafted products that this company boasts. 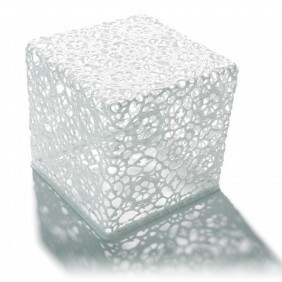 This intricate piece could be used as a bedside table or as a coffee table. And finally, just a cheeky bit of luxury.